HomeFor ClientsAnalyticsForex Analysis & ForecastsForex Technical analysis and forecastsForex Technical Analysis Forex 2010/11/19. EUR/USD, GBP/USD, USD/CHF,AUD/USD, NZD/USD, EUR/JPY Forecast FX. Forex Technical Analysis Forex 2010/11/19. EUR/USD, GBP/USD, USD/CHF,AUD/USD, NZD/USD, EUR/JPY Forecast FX. 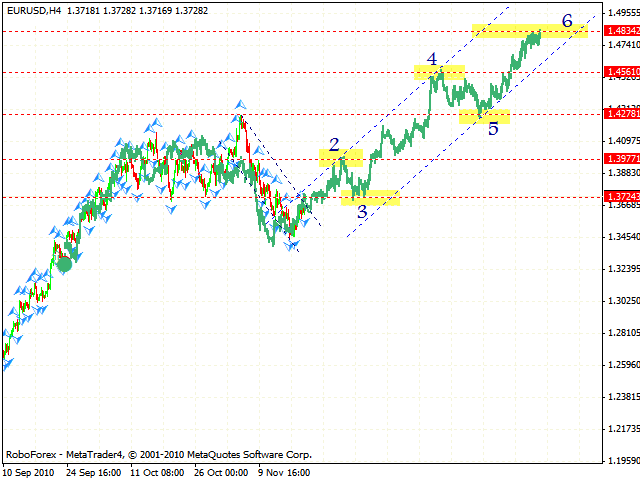 As we can see by eurusd forecast the EUR/USDkeeps moving upwards. Using the previous structure of the price, we can predict the future rising pattern and basic points of references to buy the pair. The closest target of the 2nd point of reference is the area 1.3977 where we should expect the correction to the level of 1.3724. One can consider buying Euro starting from the level of 1.3724 and up to the level of 1.4560.Here there is a possibility of the correction, one can try to buy the pair from the area of 1.4278 with the target of 1.4834. Pound has reached the trend line at the price chart thus completing the first target of the growth. As we can see by gbpusd forecast, it’s just a beginning of the rising movement, that’s why any type of correction should be regarded as a new opportunity to open long positions. Yesterday Franc tested maximums, however at the moment we have “double top” reversal pattern with the target in the area of 0.9773. Judging by technical analysis usd chf you can try to sell the pair with the tight stop after the support level is broken. 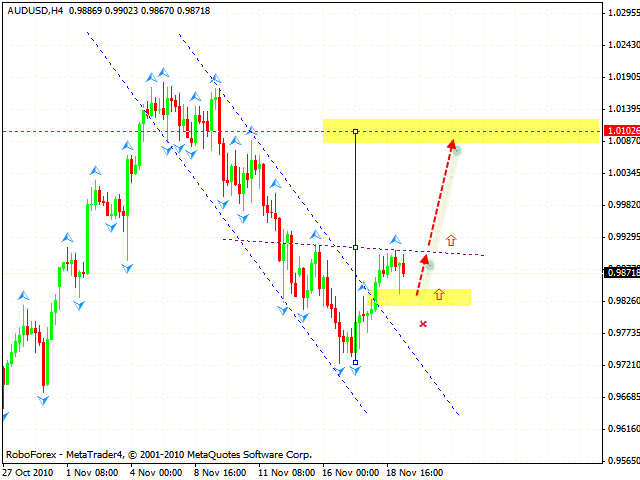 In case of Australian Dollar we have “head & shoulders” reversal pattern forming with the target in the area of 1.0100. 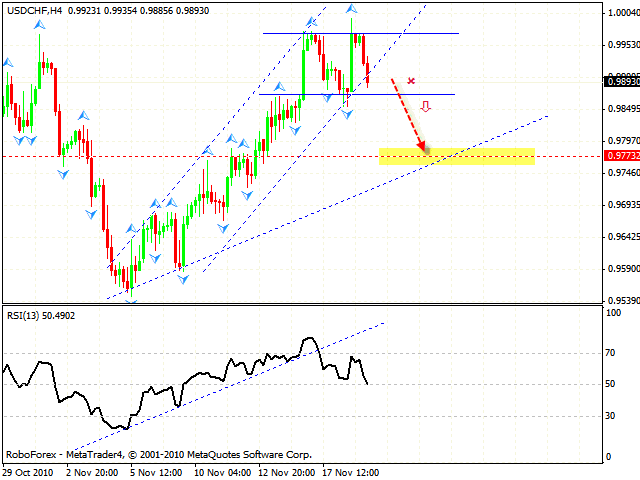 Judging by aud usd analysis you can try to buy the pair even now with the stop below 0.9820. We recommend you to increase the amount of long positions after the neckline is broken. 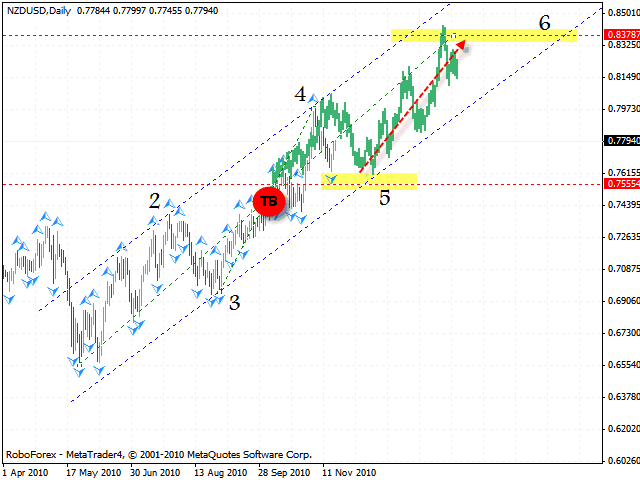 Although New Zealand Dollar started to grow, we should expect the correction of the pair into the area of 0.7550 where one can try to buy the pair with the target of 0.8380 during a long-term period. However, in case of the significant growth of the EUR/USD currency pair, the correction of New Zealand Dollar into the above-mentioned area may be cancelled. 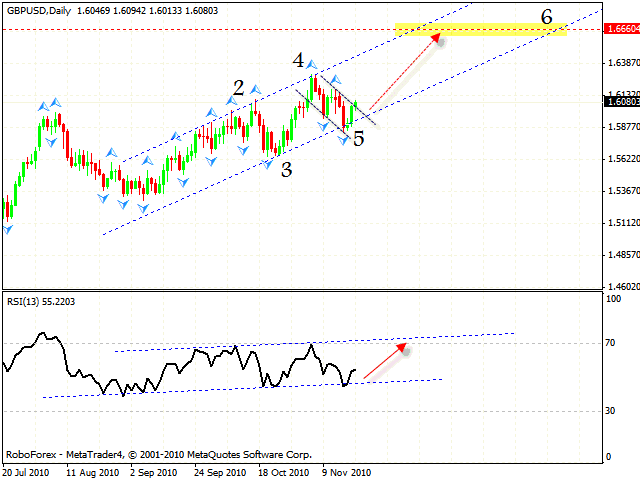 According to nzdusd forecast you should try to buy the pair at shorter periods of time. Judging by eur jpy analysis, in case of the EUR/JPY currency pair there is a possibility that the price will move upwards. 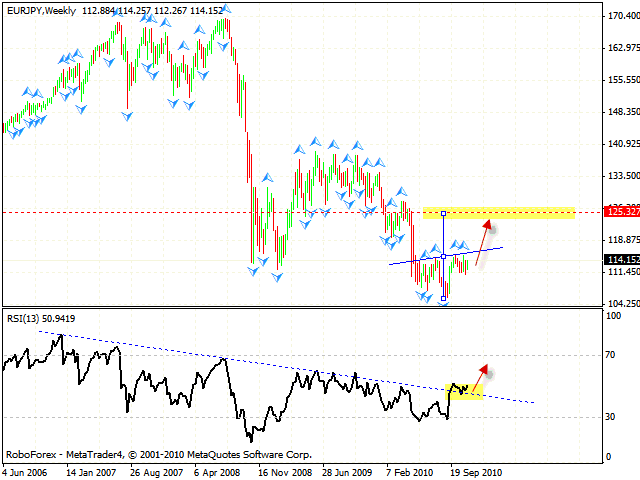 The reason is that the descending trend’s line at the RSI indicator has been broken at the weekly chart. We can also see the formation of “head & shoulders” reversal pattern with the target in the area of 125. 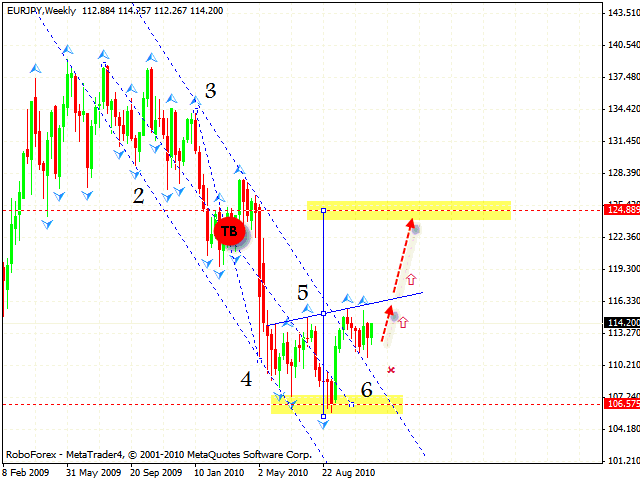 Daily online forex chart indicates that the price will continue moving upwards. The target of the descending pattern has been reached, the channel has been broken, and thus we have the area to buy the pair. The reversal pattern is even a stronger signal for the pair to grow into the area of 125.